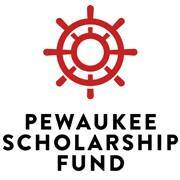 To donate to the Pewaukee Scholarship Fund, visit our donate page. Carson Abrahamson, son of Steven and MaryAnn Abrahamson, is the recipient of the Fraland and Eileen Campbell Scholarship. Carson will be attending the University of Minnesota, Twin Cities and majoring in Computer Engineering. Vincent Angellotti, the son of Tim and Karen Angellotti, has been awarded a WaterStone Bank Scholarship. Vincent will be attending UW-Madison next year to study Computer Science. Kavitha Babu, daughter of Babu Subramanian and Vishalakshi Babu, is the recipient of a Pewaukee Kiwanis Club Scholarship. Kavitha will be attending the UW-Madison to study Political Science. Emily Becker, the daughter of Bill and Denee Becker, is the recipient of the Quad Graphics Scholarship. She plans study Graphic Arts at Winona State University. Callie Bednarek, daughter of Brian Bednarek and Briana Lindquist, has been awarded the Allen Anderson Memorial Scholarship. Callie will be attending Brown University with the intended majors of Biochemistry and Molecular Biology. Blaze Beltran, the son of Victor Beltran and Janet Schneiderwent, is the recipient of the Ann Wright Scholarship. Blaze plans to attend the University of Minnesota in Duluth to study Criminal Justice. Rachel Bergelin, daughter of Steve and Joyce Bergelin, is the recipient of a Pewaukee Scholarship Fund Award. She will be studying Architecture at the School of Architecture at UW-Milwaukee. Zoe Bierce, the daughter of Steve and Becky Bierce, has been awarded the Steven DeLaat Memorial Scholarship. Zoe plans to study pre-med at the University of Wisconsin, Madison. Taryn Bradley, daughter of Kelly and Joanne Bradley, is the recipient of a Pewaukee Scholarship Fund Award. She will be studying Biology at University of Minnesota, Twin Cities. Quinn Brownell, the son of Danny and Deanna Brownell, has been awarded the William Kaatz Memorial Scholarship. Quinn will be attending UW-Stevens Point and will be majoring in Natural Resources Management. Rebecca Chadwick, daughter of Tac and Page Chadwick, is the recipient of a Bruce M. Guckenberger Memorial Scholarship. She will be studying Biology at the UW-Madison. Shelby Clark, the daughter of Darren and Irene Clark, has been awarded the M. Van Hulle Honorary PSF award. Shelby plans to study Nursing at the University of Minnesota, Twin Cities. Cassandra Doubek, daughter of Michael and Sara Doubek, is the recipient of the Margaret Schallitz Memorial Scholarship. She plans to attend UW-Madison and will be following a pre-business track, leading to a major actuarial science. Claire Ellington, the daughter of Jeff and Suzi Ellington, has been awarded a Donald Koepp N. Memorial Scholarship. Claire plans to attend Belmont University in Nashville, Tennessee to study Music Business. Kiley Fetherston, daughter of Patrick and Tricia Fetherston, is the recipient of a Pewaukee Scholarship Fund Award. She will be studying Nursing at the University of Minnesota, Twin Cities. Melody Geffert, the daughter of Peter and Sara Geffert, is the recipient of a WaterStone Bank Scholarship. Melody will be attending St. Norbert College to major in English and minor in French. Haylie Hansen, daughter of Mark and Angela Hansen, has been awarded a PHS Alumni Association Scholarship. She will be studying to become a Physician Assistant at Butler University in Indiana. Michael Heinen, the son of John and Mary Heinen, is the recipient of a Pewaukee Scholarship Fund Award. Michael will be attending Drake University with majors in Actuarial Science and Economics. Ashley Hohnstein, daughter of Jason and Michele Hohnstein, is the recipient of a Pewaukee Scholarship Fund Award. She will be studying History at UW-Stevens Point. Emily Johnson, the daughter of Mark and Jill Johnson, has been awarded an American Legion Scholarship. Emily plans to attend theUniversity of Wisconsin, Madison to study Human Development. Tori Johnson, daughter of Kevin and Tracy Johnson, is the recipient of a Pewaukee Scholarship Fund Award. She will be studying Human Resources and Management at UW-Madison. Sarah Kaderavek, the daughter of Robert and Catherine Kaderavek, has been awarded a Pewaukee Women’s Club Scholarship. Sarah plans to attend UW-Madison to study Business. Sydney Kaine, daughter of Kevin and Dawn Kaine, is the recipient of a Pewaukee Scholarship Fund Award. She will be studying Nursing at the University of Kentucky. Nathan Kolbow, the son of Greg Kolbow, has been awarded an American Legion Scholarship. He plans to study Computer Science at UW-Madison. Catherine Koplien, daughter of Craig and Maureen Koplien, is the recipient of a Pewaukee School District Administrators’ Scholarship. Catherine plans to major in Elementary Education at the University of Minnesota, Twin Cities. Chloe Krumenacher, the daughter of Thomas and Karen Krumenacher, has been awarded a Bruce M. Guckenberger Memorial Scholarship. Chloe will be attending UW-Platteville to study Animal Science with an emphasis in Pre-Vet. Eden Lochner, daughter of Nick and Laurie Lochner, is the recipient of a Pewaukee School District Administrators’ Scholarship. Eden plans to study Psychology at UW-Madison. Allison Loth, the daughter of Robert and Nancy Loth, has been awarded a Pewaukee Board of Education Scholarship. She will be attending Ball State University to study Architecture. Marissa Lupo, daughter of Mark and Stacey Lupo, is the recipient of a Pewaukee Women’s Club Scholarship. Marissa plans to attend the University of Minnesota, Twin Cities, to major in Psychology. Madison Moroder, the daughter of Greg and Katy Moroder, has been awarded a Pewaukee School District Administrators’ Scholarship. She will be studying Psychology at the University of Minnesota, Twin Cities. Reynna Nelson, daughter of Lynn Nelson, is the recipient of a PHS Alumni Association Scholarship. Reynna plans to study Music Business at Belmont University, in Nashville, Tennessee. Allison Rokus, the daughter of Richard Rokus and Cindy Steinert , has been awarded a Donald Koepp N. Memorial Scholarship. She will be attending UW-Madison to study Business Administration. Rachel Rosencrans, daughter of Todd and Mary Rosencrans, is the recipient of a Pewaukee Kiwanis Club Scholarship. Rachel plans to major in Biochemistry at UW-LaCrosse. Amanda Schoenecker, the daughter of Martin Schoenecker, is the recipient of a Pewaukee Scholarship Fund Award. She will be attending Marquette University and is undecided as to a major. Kendall Schoenike, daughter of Jon and Colleen Schoenike, has been awarded the Wisconsin Masonic Foundation Scholarship. Kendall will be attending UW-Madison next year and studying Kinesiology, with the goal of a degree in Physical Therapy. Nate Sjoberg, son of Tom and Keeci Sjoberg, is the recipient of a Pewaukee Kiwanis Club Scholarship. He plans to study Engineering at University of Alabama. Jennifer Somenske, daughter of Jeff and Kim Somenske, has been awarded a Pewaukee Board of Education Scholarship. She will be studying Accounting at the University of Minnesota, Twin Cities. Ryan Stoffield, the son of Mike and Jill Stoffield, is the recipient of the FBLA (Future Business Leaders of America) Scholarship. Ryan will be attending the University of Louisville to study Accounting. Kyle Turba, son of Craig and Lynn Turba, is the recipient of a Pewaukee Scholarship Fund Award. He will be studying Marketing at Winona State University, in Minnesota. Riah VandeZande, the daughter of Todd and Tiffany VandeZande, has been awarded the Joseph Ryan Memorial Scholarship. Riah plans to major in Communications at UW-Madison. Tien Vo, daughter of Tam Vo and Duong Duong, has been awarded the Dorothy M. Brouwer Memorial Scholarship. She will be attending the University of Washington-Seattle, majoring in Biology and Spanish. Sydney Wagner, the daughter of Scott and Toni Wagner, is the recipient of a Pewaukee Scholarship Fund Award. Sydney plans to study Statistics at San Diego State University. Alex Wahlgren, son of Craig Wahlgren and Karen Straka, is the recipient of a Pewaukee Scholarship Fund Award. He will be attending UW-Madison to study Environmental Engineering. Redmon Wallace, the son of Laura and Lindsay Wallace, has been awarded the JoAnn Sternke Honorary Scholarship. Redmond plans to attend the College of Science and Engineering at the University of Minnesota, Twin Cities. He will be pursuing a degree in Civil Engineering. Samantha Wollenzien, daughter of Dawn Wollenzien, is the recipient of the Roberta Opie-Grimm Memorial Scholarship. Samantha will be attending UW-Oshkosh to major in Nursing. Maria Zabel, the daughter of Erik and Monica Zabel, has been awarded the Hans Wienss Memorial Scholarship. She will be studying Biomedical Science at Marquette University. Hope Zimmermann, daughter of Janice Zimmermann, has been awarded the Gene Frett Visual Arts Scholarship. Hope is planning to study Photography and Graphic Arts at UW-Milwaukee. Erika Ziolkowski, the daughter of Richard Ziolkowski and Pamela Haviland Ziolkowski, is the recipient of a Pewaukee Scholarship Fund Award. Erika plans to attend UW-LaCrosse to study Spanish and International Business.